Stainless Steel Bellows are widely used in ducting, vessels and piping for controlling the stress generated due to fluctuating dimensions from thermal expansion or contraction. Unlike bends and loops, these Bellows require comparatively less space. These Bellows avoid transmission of vibrations in gas, air or water pipelines. 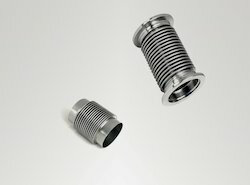 SS Bellows are widely used in ducting, vessels and piping for controlling the stress generated due to fluctuating dimensions from thermal expansion or contraction. Unlike bends and loops, these Bellows require comparatively less space. 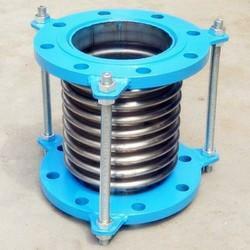 These Bellows avoid transmission of vibrations in gas, air or water pipelines. Looking for SS Bellow ?